For centuries Afghanistan has been a theatre fraught with tribal conflict confounded by the extreme adversities of colonial and imperial interests and interventions. It’s a graveyard of empires and countless wars have been fought; the Mongols invaded bringing Islam in the 7th century AD, the great game between Britain and Russia to control Central Asia, and most recently the long and drawn out American folly post 9/11. Over the past fifteen years, the US occupation has come to epitomize a modern polarization between Islam and the west, reflecting a geopolitical tension that reaches far beyond Afghanistan’s borders. It was this polarization that first drew me to Afghanistan in 2008 and twenty times since. In 2014 the US and the international community scaled back their presence, but I’ve seen firsthand an increasingly politically and economically volatile environment for Afghans with their lives in suspension. The hope for a less conservative formal government having longevity is fading, endemic political corruption breeds social cynicism and a the threat of an ultra conservative Islamic state returning to power inspires fear. 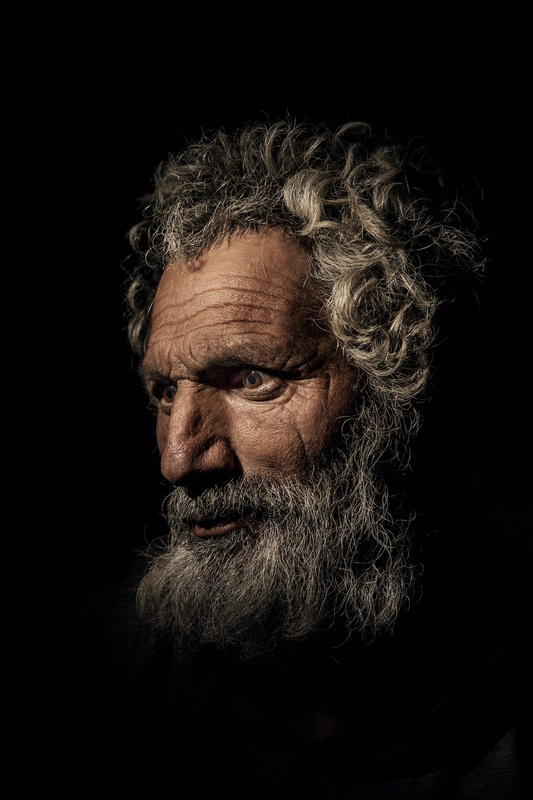 For this series of portraits, it’s the Afghan people’s’ dread and suspension that I looked to document. Photographing mostly at night or in low light, with a single ash focused as a spot light, I drove the streets of Kabul finding subjects affected by war; civilians wounded, new military recruits, the displaced and people caught in a cycle of poverty. Despite being aware that they were being photographed, the low light masked the presence of a camera. Waiting and watching through this darkness, I would intuitively make an exposure with the ash and this method allowed a can- did melancholy to be expressed. This expression, for me, is indicative of the state of suspension I was witnessing. One particular young man, Dawar Khan, age 17, had ed the southern Province of Helmand after his two brothers were killed during fighting between Taliban and U.S Forces. He now lives in a tent on a crowded muddy at on the outskirts of Kabul. Amnesty International estimates that more than 1.2 million people have been displaced by conflict in Afghanistan. I hope a closer look into the lives of these Afghans will help people see beyond the dominant narratives of Islam that induce xenophobia and fear and provide an intimate window into the lives of people caught in a largely forgotten conflict and America’s longest war. No frames. Two hooks on the back of dibond panel.